After a pair of qualifying games determined the last team to play in the group stage, the main portion of the competition started this week with games spread across Wednesday and Thursday. The 32 teams were divided roughly geographically with 16 teams from the more eastern half of Europe split among Groups A through D. Group E through H consisted of 16 teams from the more western half of Europe. In this round, each teams plays a six game double round robin schedule. The top two teams in each group will advance to the next round. One of the most exciting games of the week took place in Sweden as Dynamo Moscow visited Umea and escaped with an 87-84 overtime win. The next day, TTT Riga, the final team in the field after they won the qualifier, proved that it belonged as they welcomed Turkey’s Orduspor to Latvia and won 75-69. Both games in the group were on Thursday. In Turkey, Edirnespor survived a tough challenge from Russia’s Enisey to win 70-68 thanks to great performances from Washington Mystics’ teammates Stefanie Dolson and Ivory Latta. The other Russian team in the group was at home as Chevakata welcomed Belarus’s Tsmoki-Minsk to Vologda and prevailed 65-58. This group had both games on Thursday as well. In Turkey, Istanbul University got a tougher than expected test from Dunav of Bulgaria, but eventually pulled away to win 83-71. 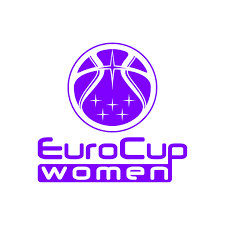 Lulea won at home in Sweden 82-71 over Russia’s Energia Ivanovo. This was the only group to have both games on Wednesday. Perennial German powerhouse Wasserburg went to Hungary and jumped on Pecsi early for a 70-55 win. In France, Nantes Reze hosted Italy’s Reyer Venezia and held on to a 74-65 win. On Wednesday, Landes welcomed Swiss side Fribourg to France and won 81-67. On Thursday, action shifted to the Czech Republic, where Nymburk beat Peac-Pecs 82-68. Hungary’s Miskolc made the trip to the Czech Republic on Wednesday, edging Valosun Brno 77-73. The first look at a more full roster for Napoli ended in a win as the Italian team went to the Netherlands and beat Orange Blizzards 72-63. Instead of a club team that plays the entire season together, the Dutch outfit is made up of players from different clubs in the league, allowing homegrown players the opportunity to play against tougher competition. In a group with two Thursday games, Portugal’s Sportiva went to Hungary and upset a Gyor team that has a much longer European history 76-67. The week’s action closed with an extremely exciting game as Angers welcomed Belgium’s Namur to France and had to come back from a large deficit to force overtime, eventually winning 88-84 in front of the home fans.